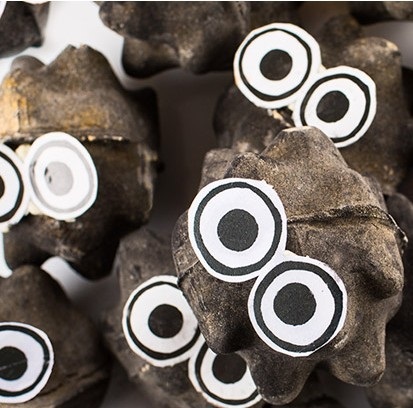 As Halloween rolls around again, LUSH has released some new limited edition goodies to celebrate the season. While they did not bring back Pumpkin soap or the Jacko bath bomb (such a bummer! 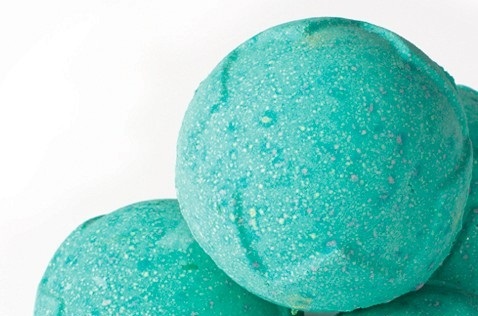 ), they have cooked up a new bubble bar and 2 new bath bombs that you are sure to enjoy if you are a fellow lushie. Pumkin Bubble Bar is an adorable sudsy treat designed to fill your tub with the scent of ylang ylang oil and orange flower absolute. 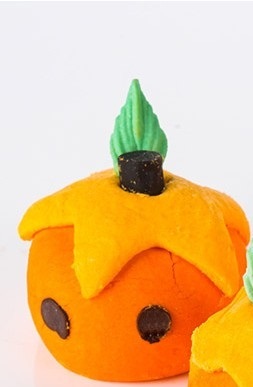 Pumkin is no spelling error as it was designed as a counterpart to the Mother’s Day Mumkin bubble bar. This 3.5 oz product is good for multiple baths, depending on the amount of suds you want, the size of your bathtub, and whether or not your tub has jets. Plus it’s just plain cute! And it shares its scent with Figs and Leaves soap-one of my favorites. Lord of Misrule Bath Bomb is a much spicier product chock-full of black pepper and patchouli. I did not pick this one up because I ordered online and this seemed like a gamble (I am not a bug patchouli fan). But this sounds like a good one for those who enjoy a small, warm scented ballistic. Lush is also promoting some of their Halloween-themed permanent items such as the Dragon’s Egg bath bomb and Buffy body butter, among many others. Limited edition Halloween items usually launch in North America in mid-October. They launch much earlier in the UK (September). I find this strange as they could potentially sell more items by releasing them earlier. And why wouldn’t they sell Soot Ball here? Nevertheless, I will put these items to good use as I always take more baths in autumn and winter. Did you pick any of these up? What do you think about Lush’s decision not to bring back previous Halloween limited edition items? Leave a comment below, and as always thanks for reading. Posted in Beauty & Style and tagged Bath, bath ballistic, Bath bomb, bath products, bubble bar, bubble bath, Halloween, limited edition, Lord of Misrule, LUSH, natural products, organic, personal care products, pumkin, review, something to consider, somethingtoconsider, somethingtoconsider1, somethingtoconsiderblog, soot ball, Special edition, Spirited Away, vegan. Bookmark the permalink.